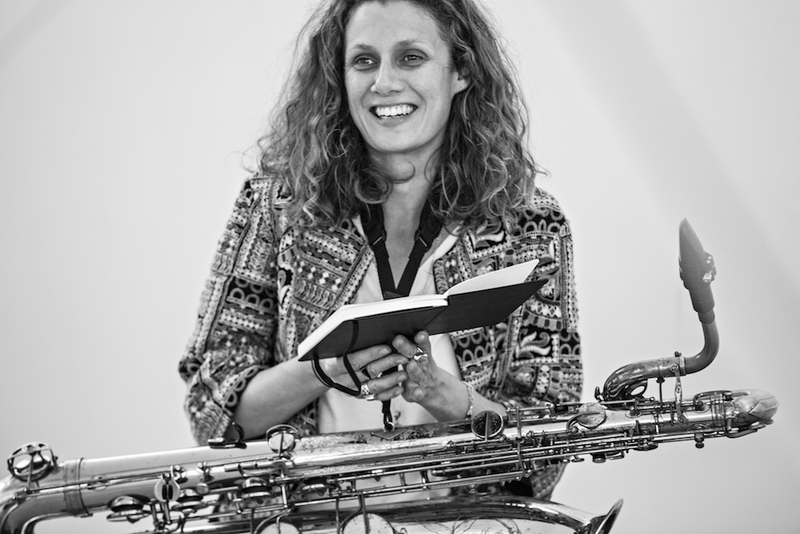 Saxophonist and multi-wind player, Tamar graduated from the Guildhall School of Music & Drama in 2000. A strong classical background complemented by jazz studies has enabled her to perform in many genres and many different contexts in her professional career. A member of the Dele Sosimi Afrobeat Orchestra since 2009, she has also performed and recorded with, amongst others, Kelis, Van Morrison, Billy Ocean, tabla maestro Tanmoy Bose in India, the acclaimed production of Fela! at the National Theatre & Sadler’s Wells (London) and Africa Express (an on-going series of collaborative concerts between African and western musicians including artists such as Tony Allen, Baaba Maal, Rokia Traore, and Fatoumata Diawara). She runs her own creative project Collocutor, for which she is bandleader, composer and performer. Collocutor released their debut album ‘Instead’ in 2014 and second album ‘The Search’ in 2017. Aside from Collocutor and the Dele Sosimi Afrobeat Orchestra, she currently performs and records most regularly with Sarathy Korwar, the Hackney Colliery Band, The Fontanelles, Emanative, Jessica Lauren’s Naga Five and The Organic Jam DJ & musician collective.